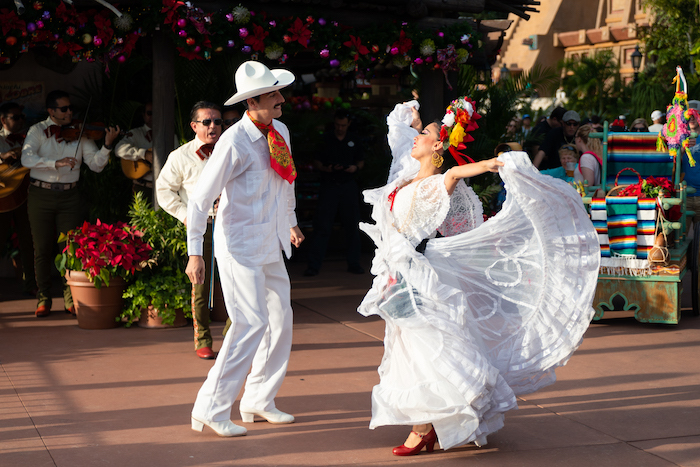 Join us for a peek at what’s new and returning to Epcot International Festival of the Holidays this year! 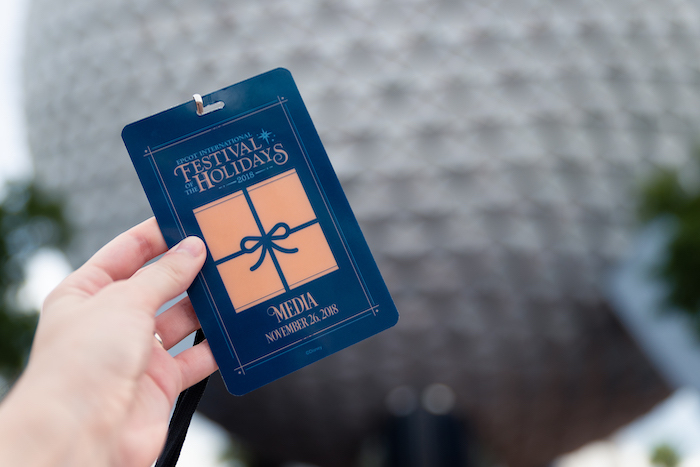 Media event lanyard for Epcot International Festival of the Holidays. Photo by Courtney Reynolds. First, we would like to thank Disney for inviting us to this special media event and for providing admission to the park so we could bring you this inside look! 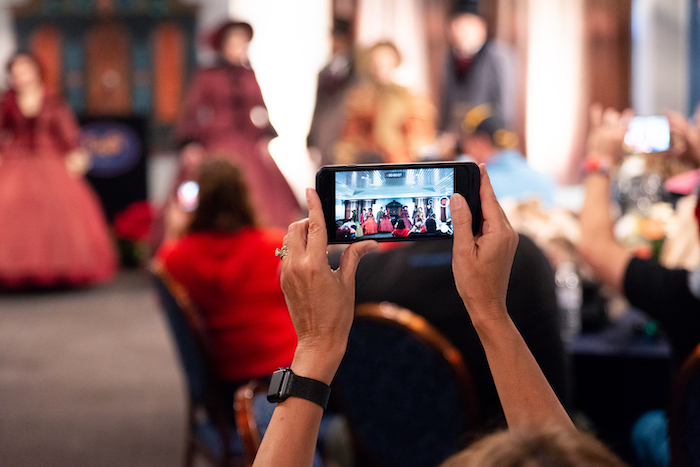 For this media event, we were given access to a special media-only reception which included a food tasting, exclusive character meet-and-greets, and a surprise performance by the Voices of Liberty. 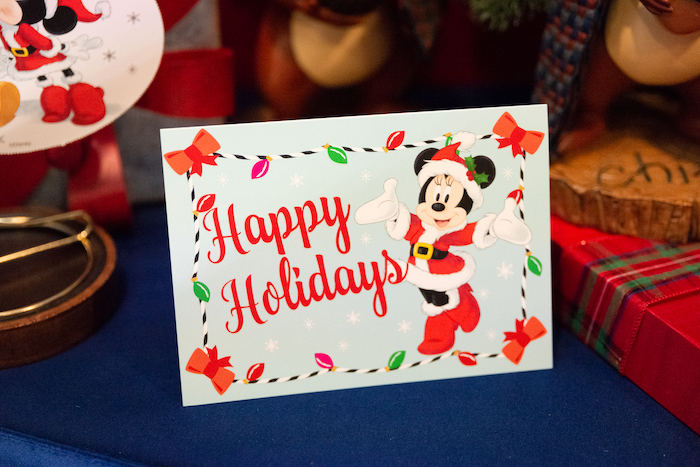 We received a special media lanyard and a bag full of Christmas goodies, including a $50 Disney gift card – another big “thank you” to Disney! 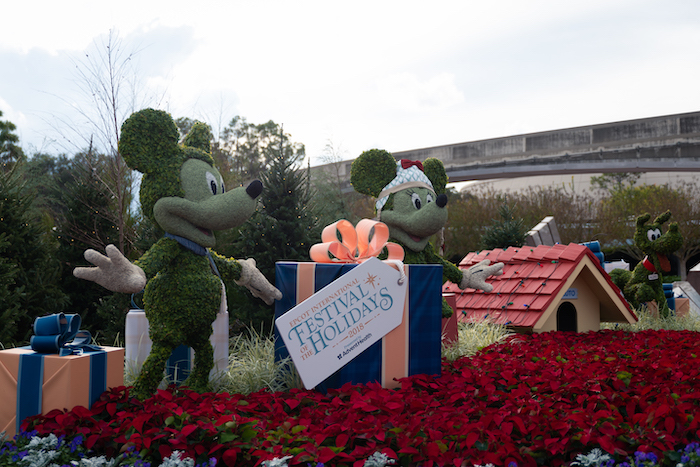 Epcot International Festival of the Holidays started on November 18th and runs through December 30th. The best part? Access to the festival is included with your park admission! Media event gift bag and goodies. Photo by Courtney Reynolds. To kick off the start of the media event, we were treated to a surprise performance by the talented a cappella group Voices of Liberty! 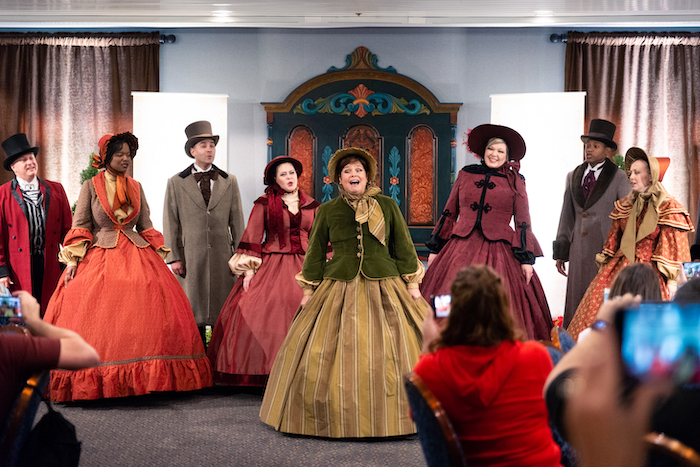 The next time you’re at Epcot, stop by The American Adventure rotunda for an inspiring performance by the Voices of Liberty. 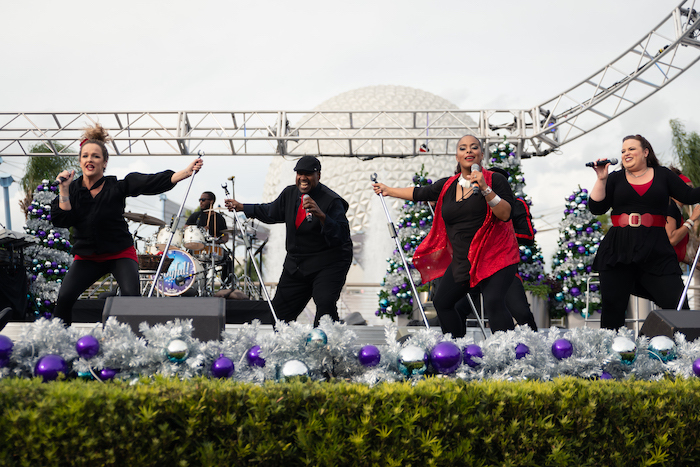 During the holidays, the show features beautiful vocal renditions of your favorite holiday classics. This is a highly-recommended show you do not want to miss! The Voices of Liberty performing at the media reception. Photo by Courtney Reynolds. 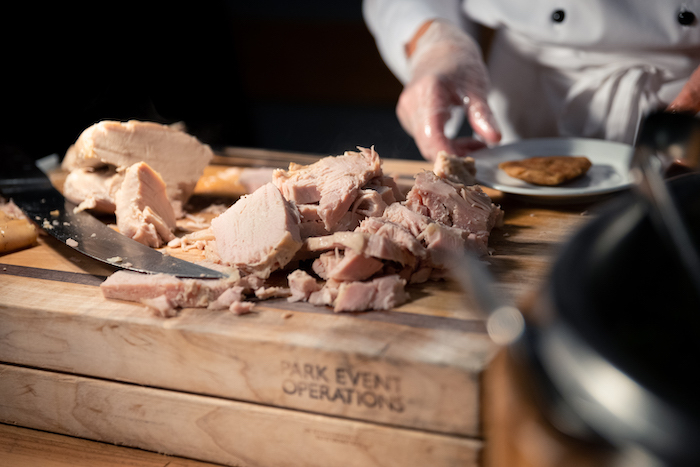 The best part of ANY Epcot festival is, of course, the food! 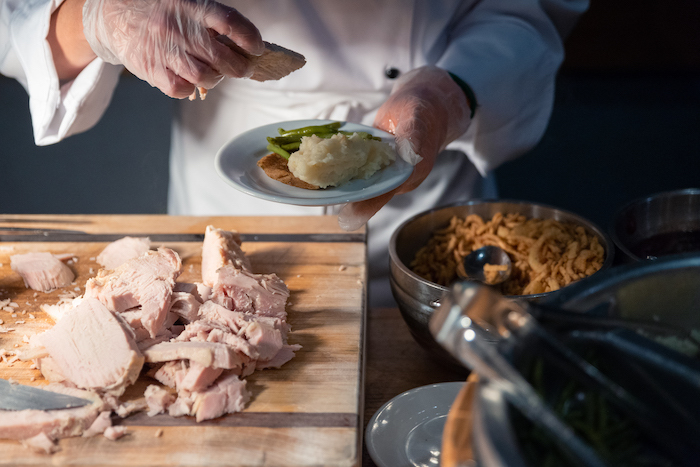 At the media reception, we had a chance to taste a few of the dishes available at the Holiday Kitchens this year. L’Chaim! is the newest addition to the Holiday Kitchen line-up. Photo by Courtney Reynolds. 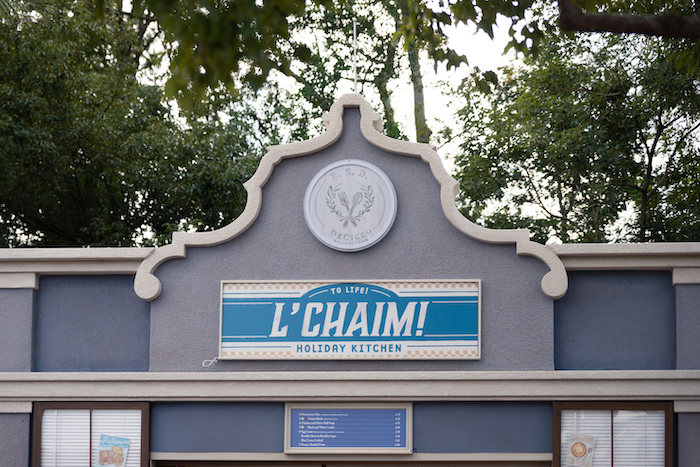 The newest addition of the Holiday Kitchen line-up is L’Chaim!, which features traditional Hebrew dishes like Potato Knish and Pastrami on Rye. Pastrami on Rye with house-made pickles and deli mustard. Photo by Courtney Reynolds. The Pastrami on Rye was actually quite good! 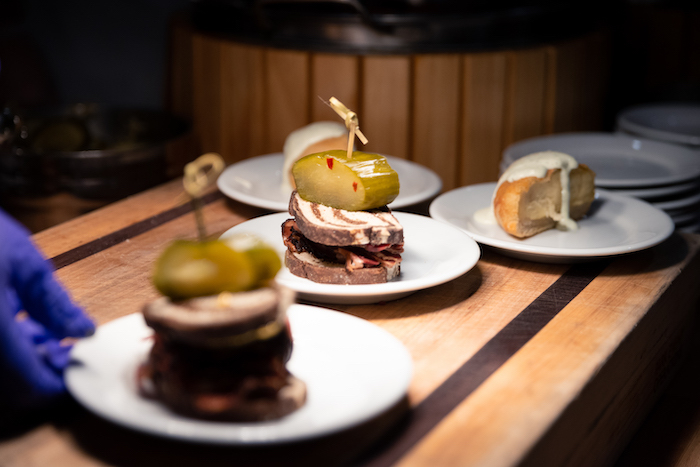 The sandwich is small but it’s layered with a hefty amount of pastrami, and the house-made pickles and deli mustard add a nice element of spiciness. Potato Knish with herb sour cream. Photo by Courtney Reynolds. 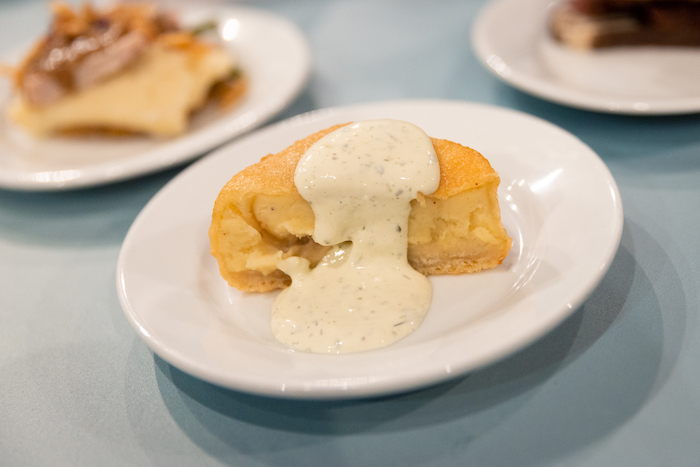 The star dish for me was the Potato Knish! This was my first time ever trying one so I had no idea what to expect. It’s a simple dish but the potato is so soft and fluffy, and the herb sour cream is tangy and full of flavor. Will definitely get this one again! 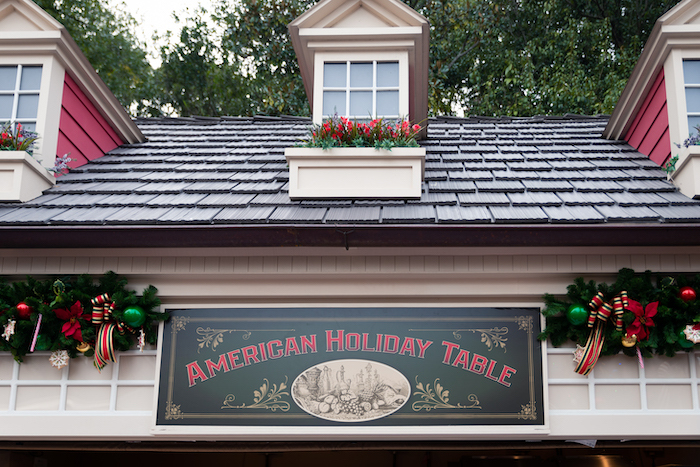 American Holiday Table is a returning favorite. Photo by Courtney Reynolds. Even though Thanksgiving was just last week, I couldn’t resist trying the Slow-roasted Turkey from American Holiday Table. 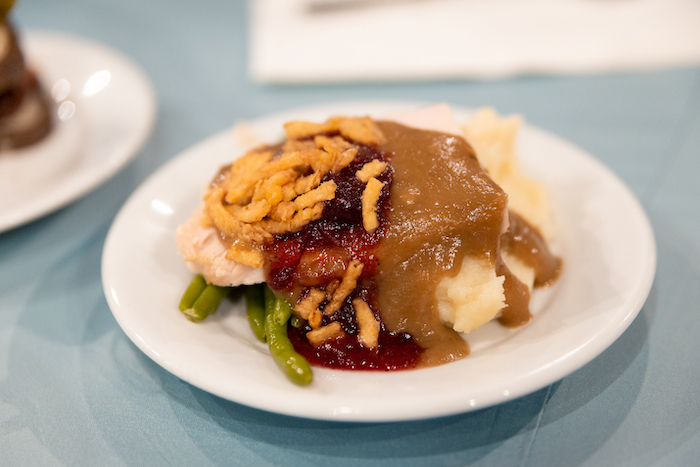 Slow-roasted Turkey with stuffing, mashed potatoes, green beans, and cranberry sauce. Photo by Courtney Reynolds. There was nothing particularly spectacular about this dish but it was still delicious. Basically, it’s just Thanksgiving dinner on a smaller plate! One perk about attending these media events is that sometimes our favorite Disney pals stop by to say hello. 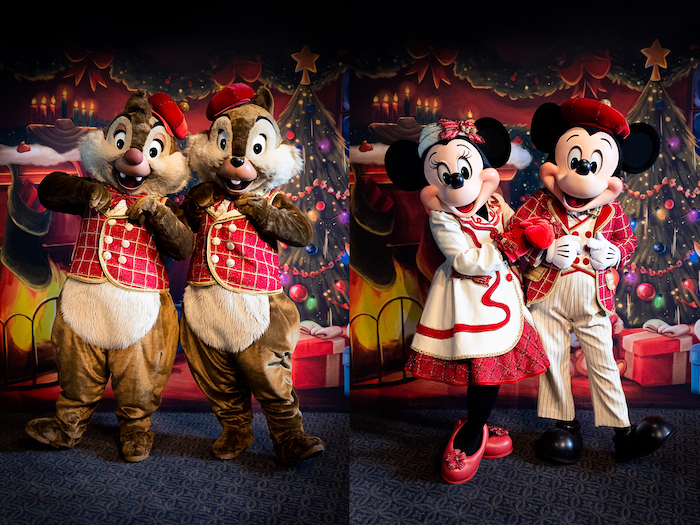 Just look at these adorable Christmas outfits! Media-exclusive character meet-and-greets. Photos by Courtney Reynolds. 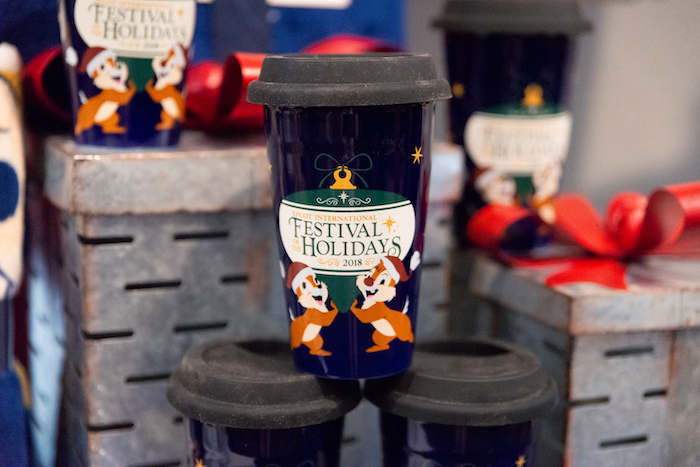 In addition to resort-wide holiday merchandise, the Festival of the Holidays has a small line of its own merchandise. Let’s take a look at a few items! 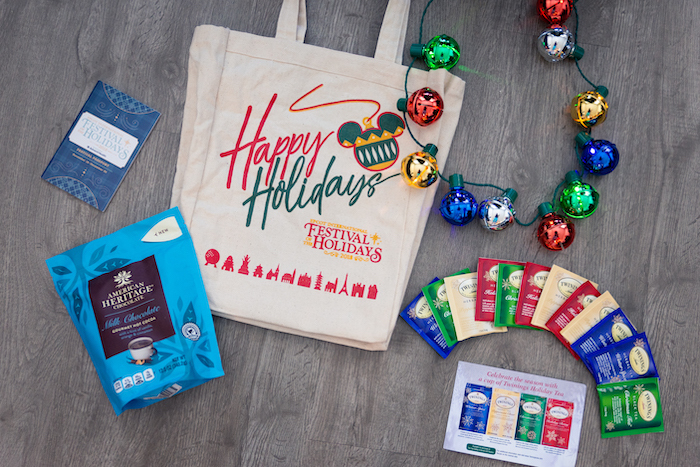 Festival of the Holidays to-go mug. Photo by Courtney Reynolds. 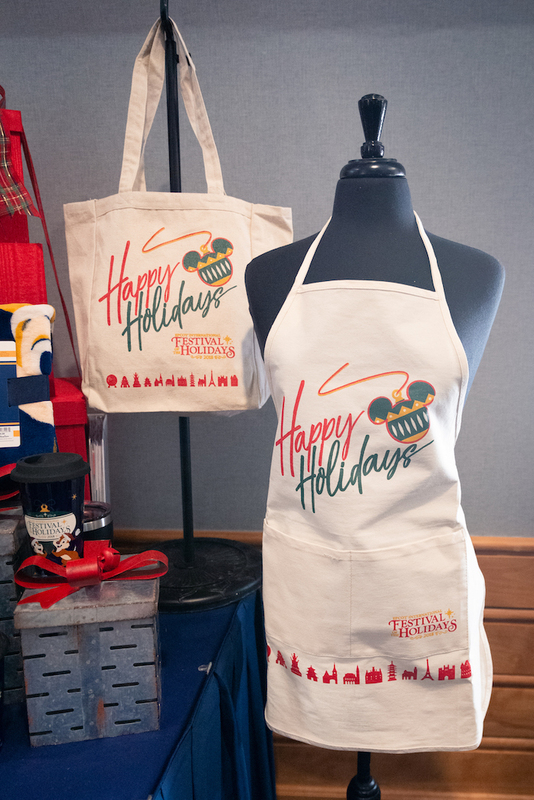 Festival of the Holidays tote bag and apron. Photo by Courtney Reynolds. 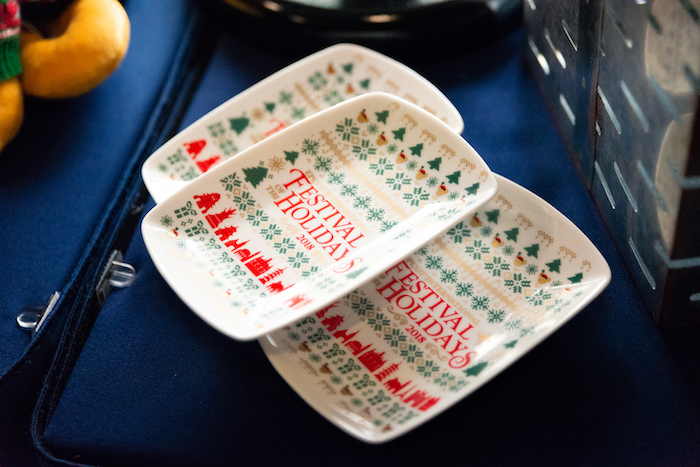 Festival of the Holidays trinket tray. Photo by Courtney Reynolds. 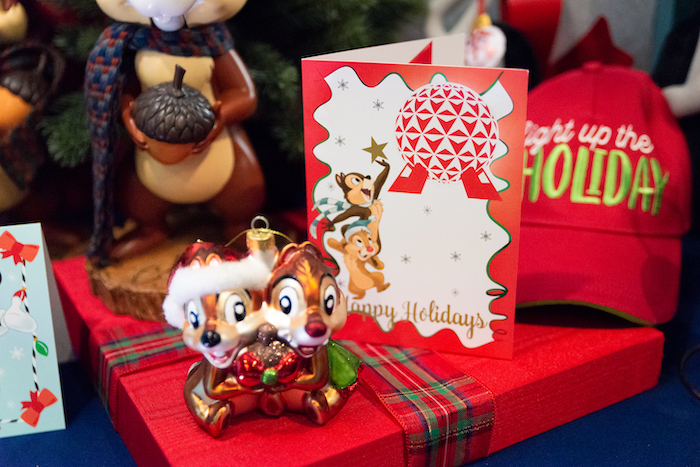 Of course, Chip ‘n’ Dale’s Christmas Tree Spree scavenger hunt is back for another year! 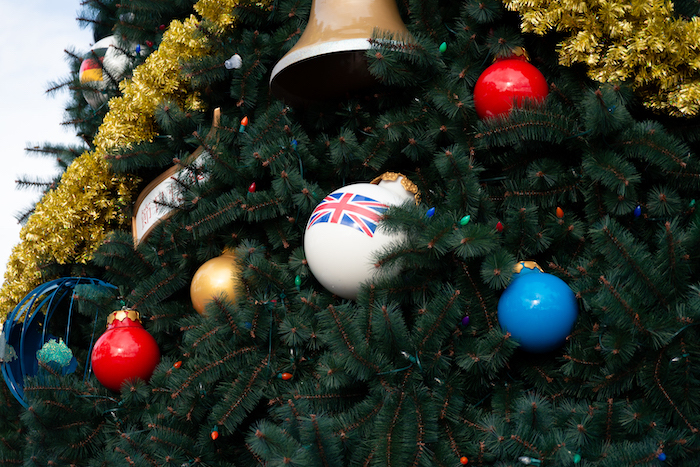 This fun scavenger hunt takes you around World Showcase in search of ornaments for Chip ‘n’ Dale’s Christmas tree. Once you’re finished, bring your completed map to a redemption location to receive your prize! The prize this year is a holiday card with a special cut-out paper ornament. There are three designs to choose from. 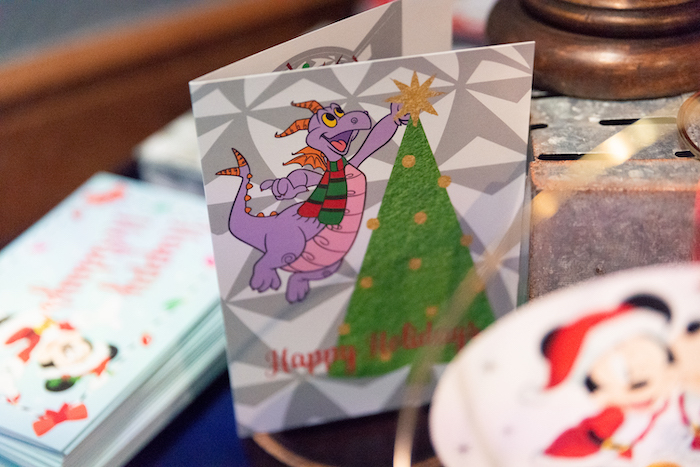 I love the Figment one! 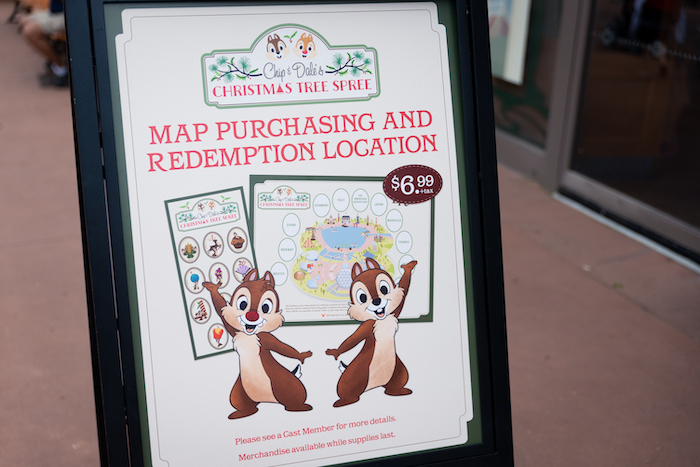 Chip ‘n’ Dale’s Christmas Tree Spree redemption location. Photo by Courtney Reynolds. One of the possible Christmas Tree Spree redemption prizes. Photo by Courtney Reynolds. 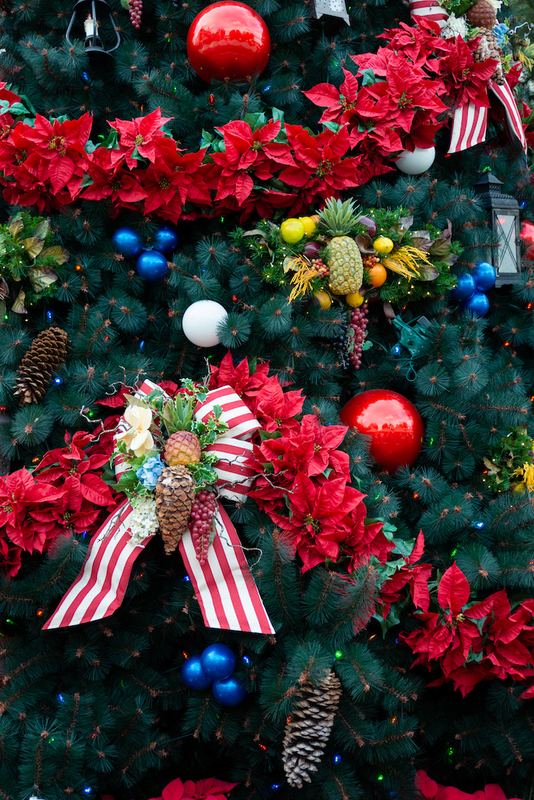 Throughout the park you’ll find special décor like holiday-themed character topiaries, Christmas trees packed with ornaments, tons of garland, and more! 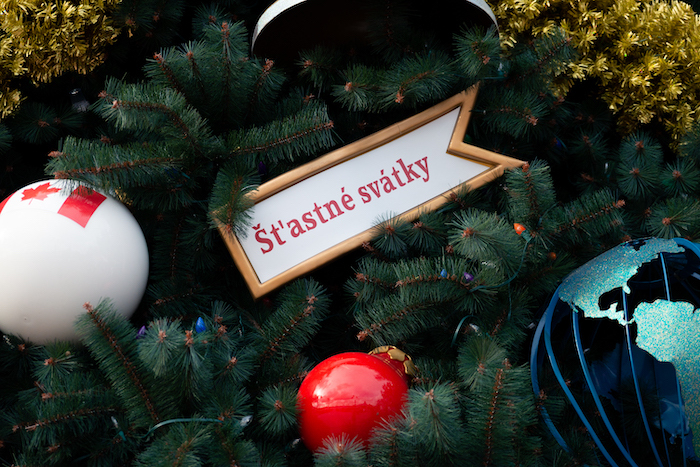 Festival of the Holidays sign. Photo by Courtney Reynolds. 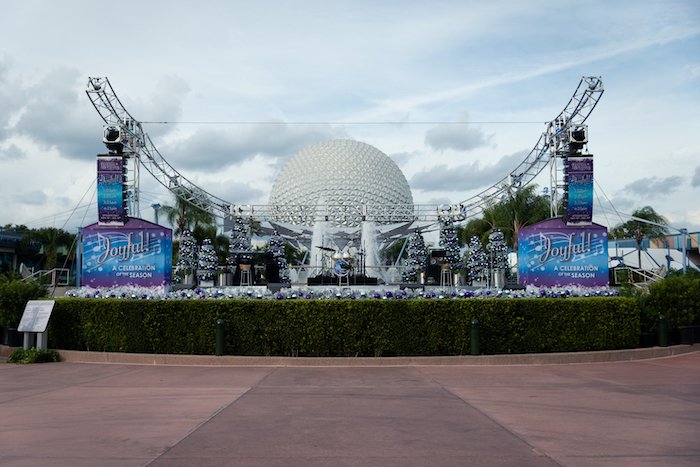 Festival of the Holidays sign and topiaries at the front of the park. Photo by Courtney Reynolds. 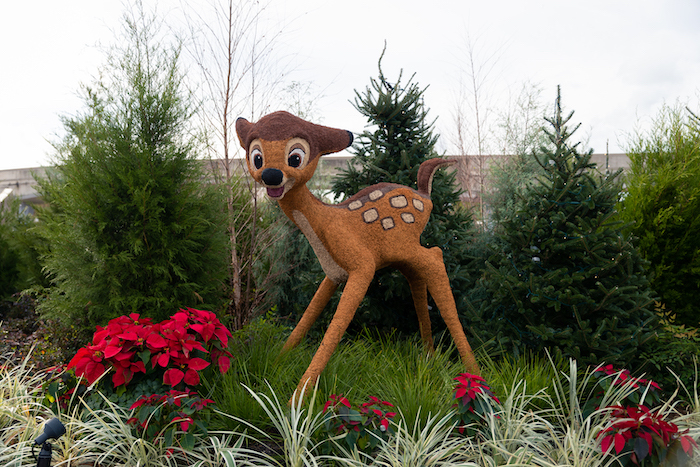 Bambi topiary at the front of the park. Photo by Courtney Reynolds. 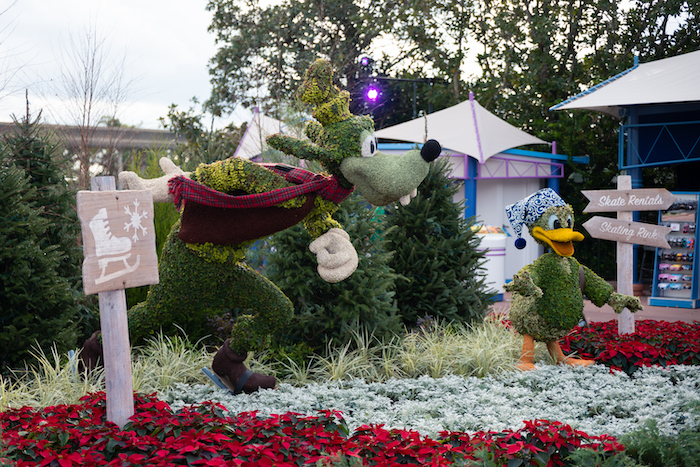 Donald and Goofy topiaries can be found in Future World. Photo by Courtney Reynolds. 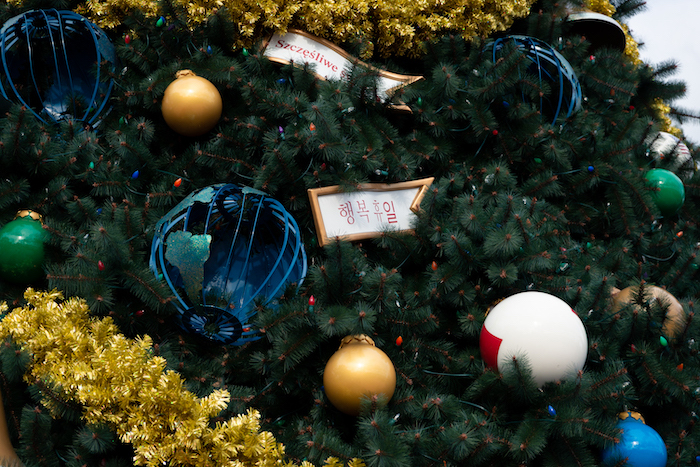 The tree is packed with ornaments inspired by each country along World Showcase. Photo by Courtney Reynolds. 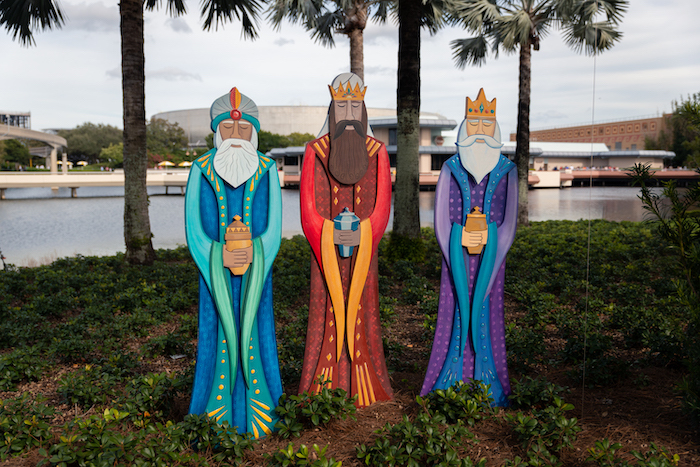 Three Kings decoration by the Feast of the Three Kings Holiday Kitchen. Photo by Courtney Reynolds. 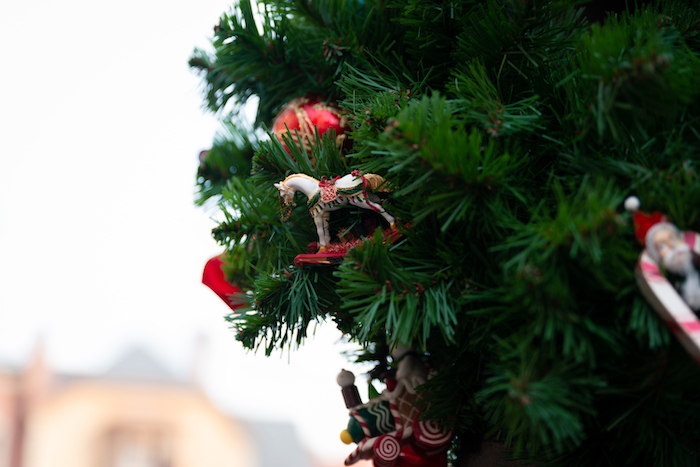 You can also find themed trees at some of the World Showcase pavilions. Photo by Courtney Reynolds. 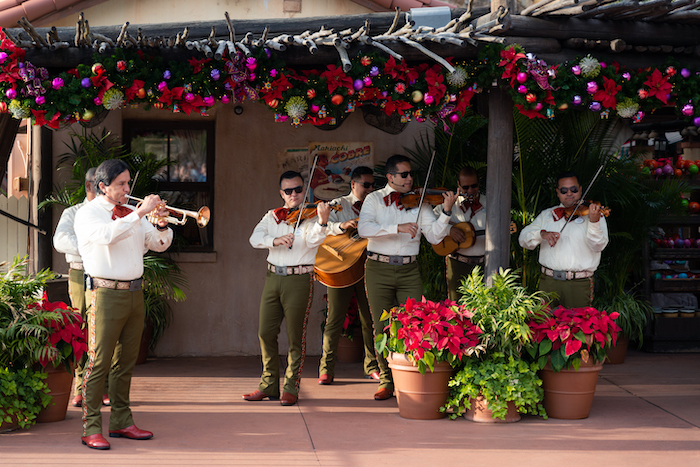 There’s even themed garland in some of the World Showcase pavilions. Photo by Courtney Reynolds. 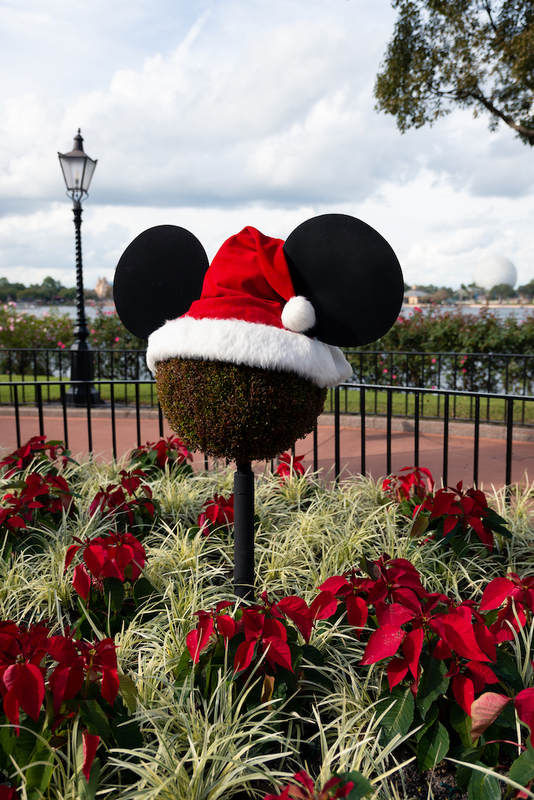 The Mickey head topiaries are back. Photo by Courtney Reynolds. 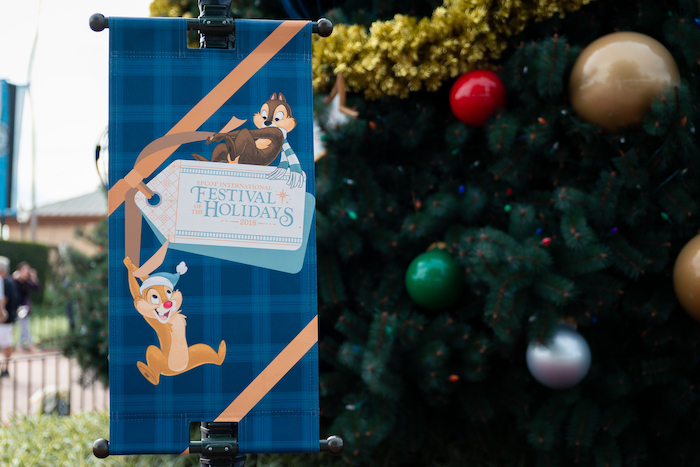 Festival of Holidays sign and Chip ‘n’ Dale topiaries as you approach the exit. Photo by Courtney Reynolds. New to the festival this year is the Holiday Cookie Stroll! In each Festival Passport, you’ll find a list of what cookies are available for the cookie stroll and where to find them. 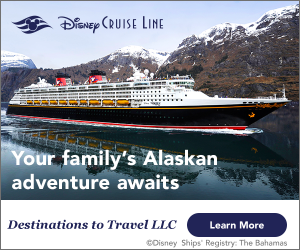 You’ll receive a passport stamp for each cookie you purchase. Once you’ve received all five stamps, bring your completed passport to the Showcase Plaza and receive a free Completer Cookie! There is also a special cookie jar available for purchase. 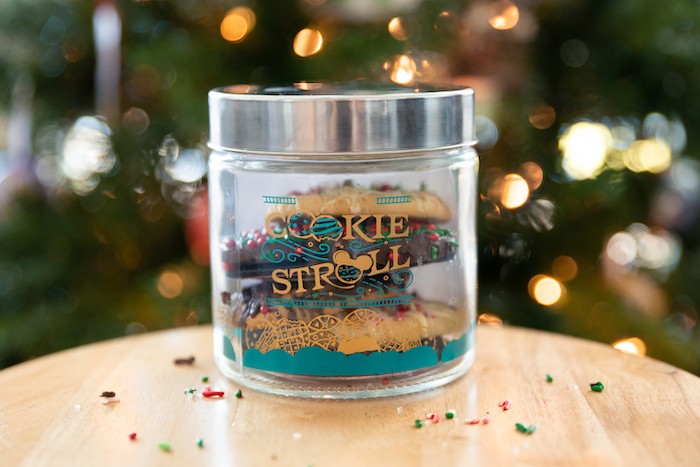 We received this cookie jar in our media event gift bag and it is perfect for storing your Holiday Cookie Stroll cookies! 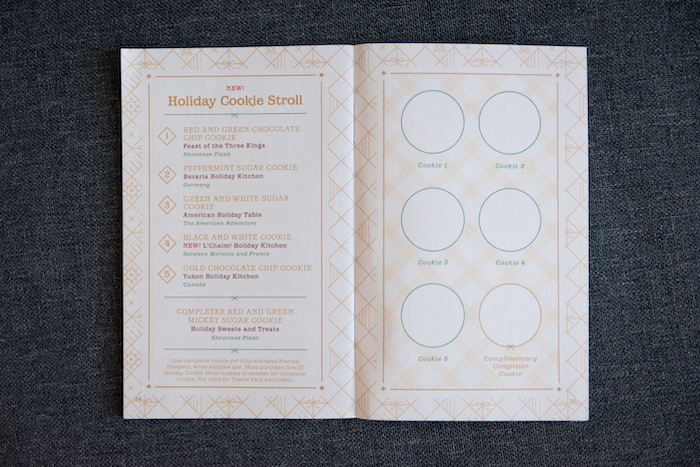 The Holiday Cookie Stroll information is in the back of each Festival Passport. Photo by Courtney Reynolds. Holiday Cookie Stroll cookie jar. Photo by Courtney Reynolds. Another great addition to the Festival of the Holidays is Joyful! A Celebration of the Season. 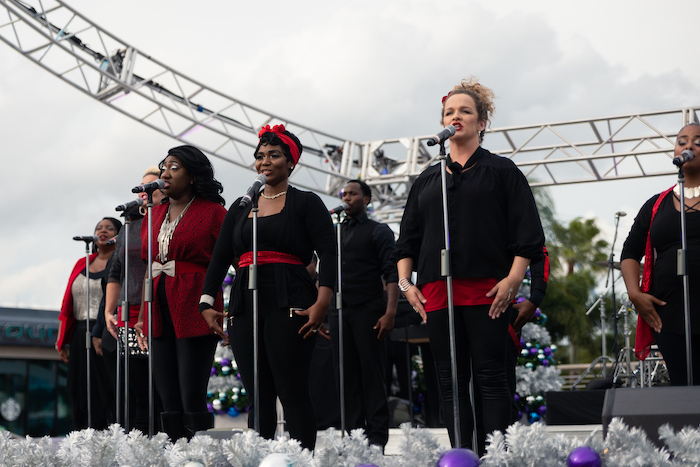 Make sure to stop by the Fountain View Stage for some uplifting Gospel and R&B versions of your favorite Christmas and Kwanzaa songs. The Fountain View Stage presents Joyful! A Celebration of the Season. Photo by Courtney Reynolds. Joyful! A Celebration of the Season. Photo by Courtney Reynolds. 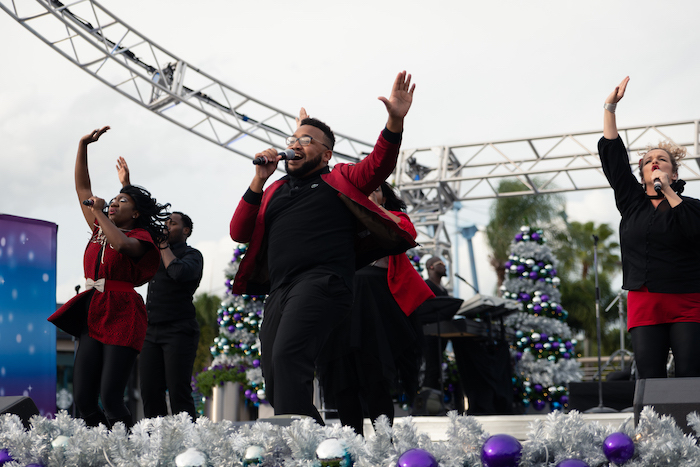 Along World Showcase, you’ll find a variety of Holiday Storytellers and holiday-themed entertainment. 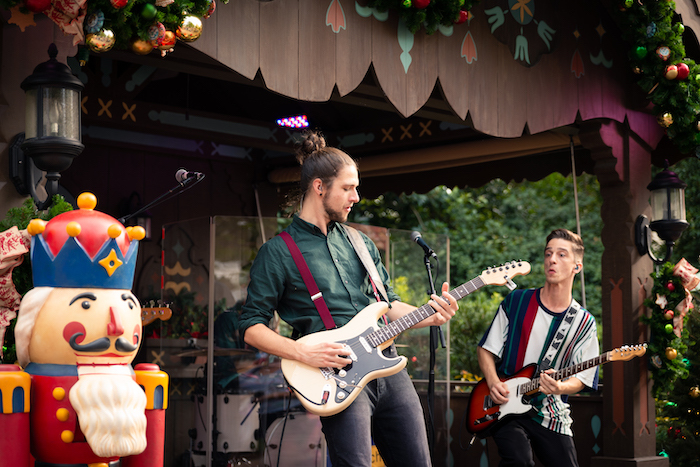 You can find holiday entertainment at practically every pavilion along World Showcase, but here are just a few that we stumbled upon during our day at Epcot! 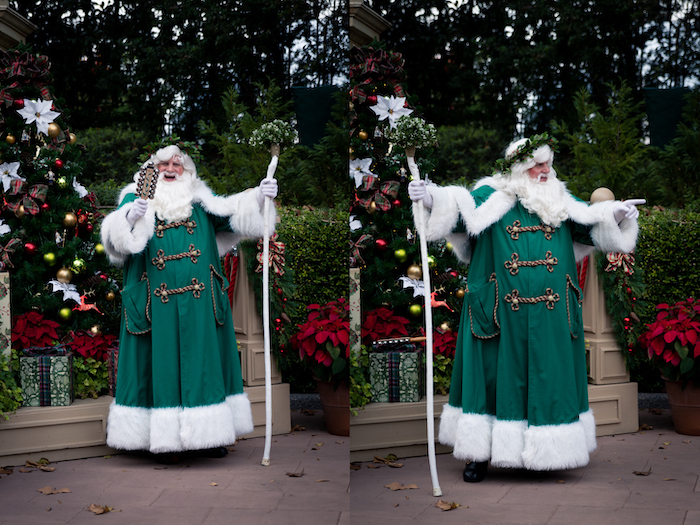 Holiday Storyteller: Father Christmas at the U.K. pavilion. Photos by Courtney Reynolds. 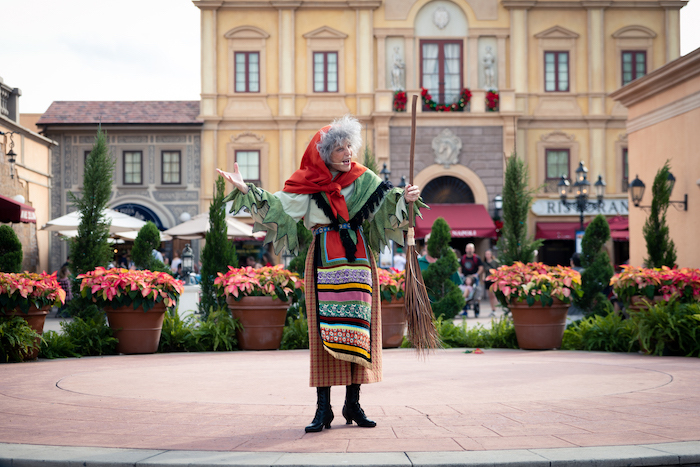 Holiday Storyteller: La Befana at the Italy pavilion. Photo by Courtney Reynolds. 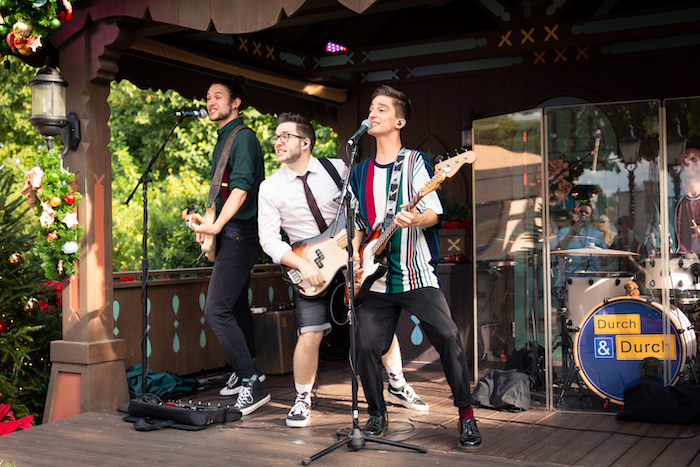 Holiday Entertainment: Durch & Durch at the Germany pavilion. Photo by Courtney Reynolds. 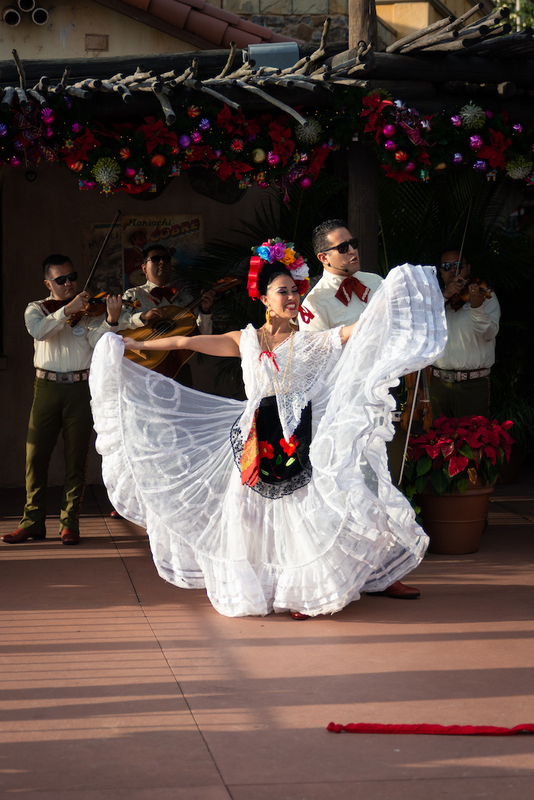 Holiday Entertainment: Las Posadas Celebration at the Mexico pavilion. Photo by Courtney Reynolds. 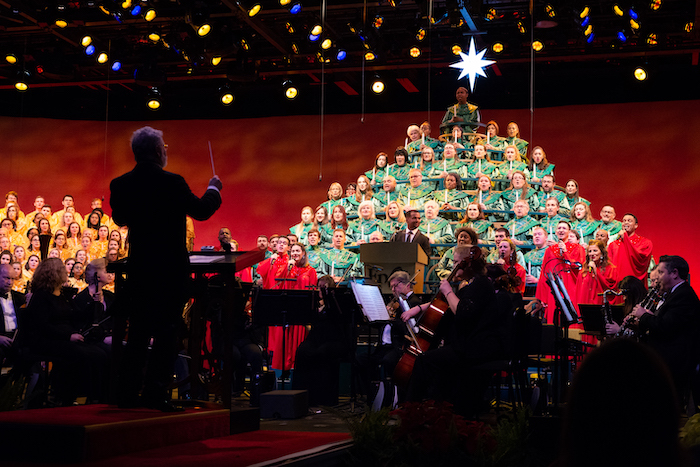 By far, the biggest draw for Epcot during the holidays is the Candlelight Processional. This stunning musical performance features a massed choir, a 50-piece orchestra, herald trumpets, the Voices of Liberty, and celebrity guest narrator. 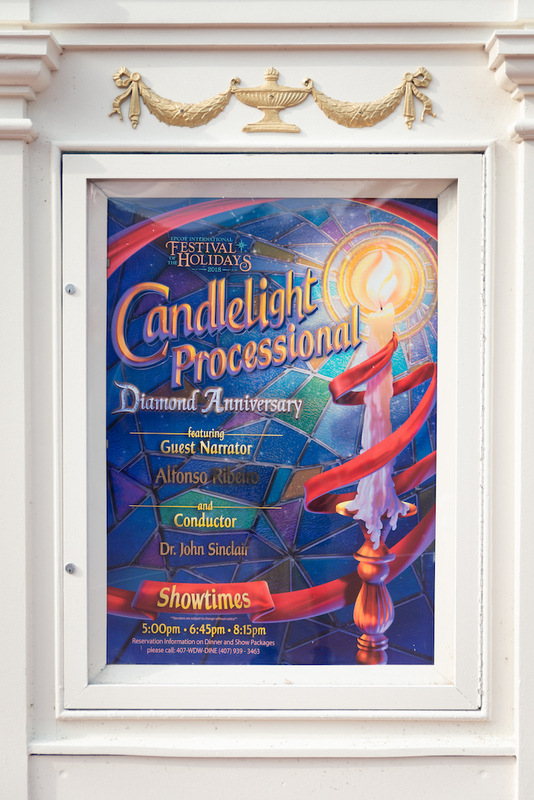 Candlelight Processional sign outside the American Gardens Theater. Photo by Courtney Reynolds. 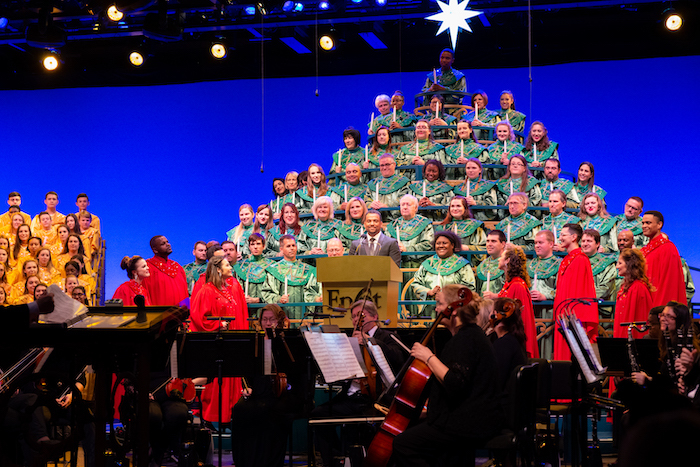 As a part of the media event, we had VIP seats for the Candlelight Processional featuring celebrity narrator Alfonso Ribeiro. If you’re like me, you probably know him best as Carlton from The Fresh Prince of Bel Air, but he is actually a very accomplished actor beyond his role as Carlton. He’s currently the host of America’s Funniest Home Videos and even won a recent season of Dancing with the Stars. 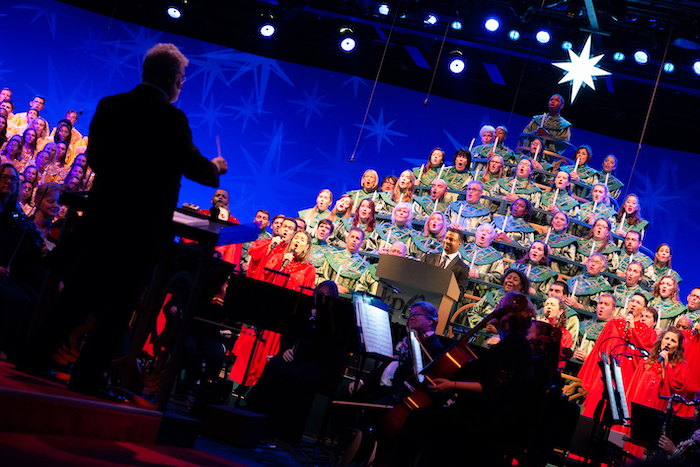 Here are some photos from the Candlelight Processional! 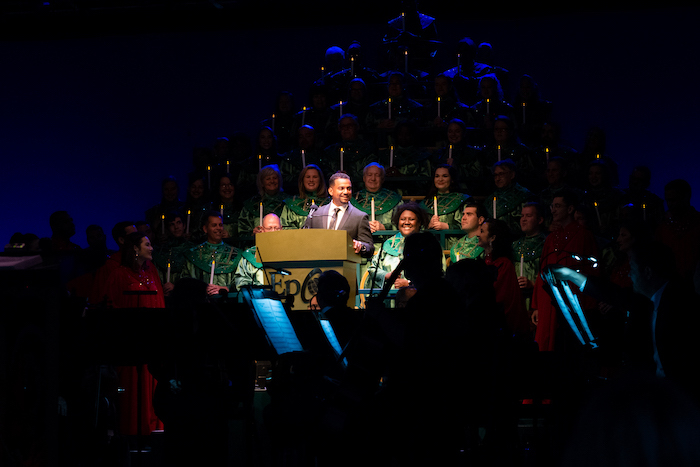 Candlelight Processional featuring Alfonso Ribeiro. Photo by Courtney Reynolds. 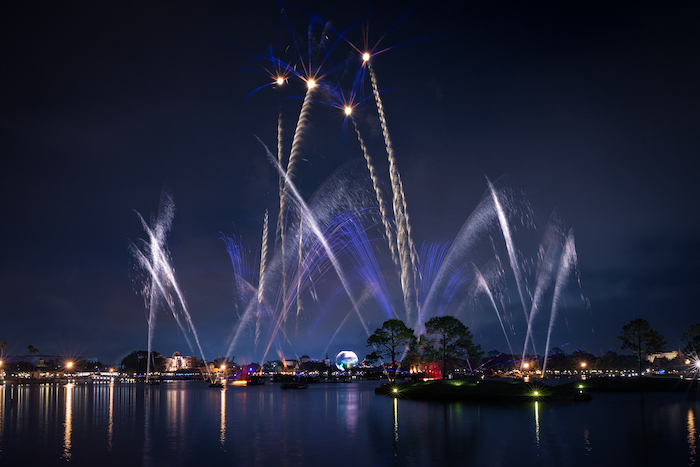 The final stop for our media event was the IllumiNations: Reflections of Earth Dessert Party. Because this is Florida, a rainstorm decided to plant itself right over Epcot that evening so our dessert party was moved indoors. The desserts included yule logs, rice pudding, cronuts, and more! IllumiNations: Reflections of Earth Dessert Party treats. Photos by Courtney Reynolds. 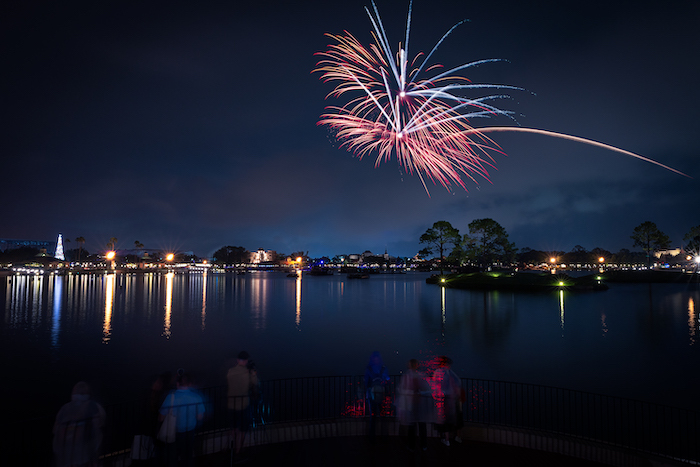 Thankfully the rain stopped right before the fireworks and we were able to get an amazing view from the Rue de Paris right by the France pavilion. 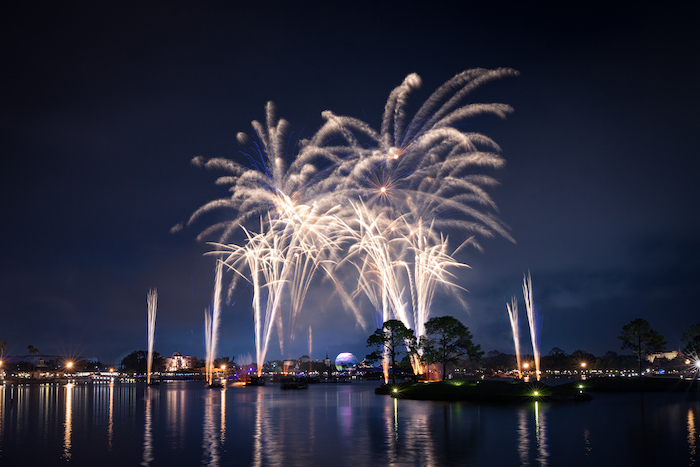 During the holidays, IllumiNations features a special holiday ending that is one of the most incredible fireworks displays at Walt Disney World. 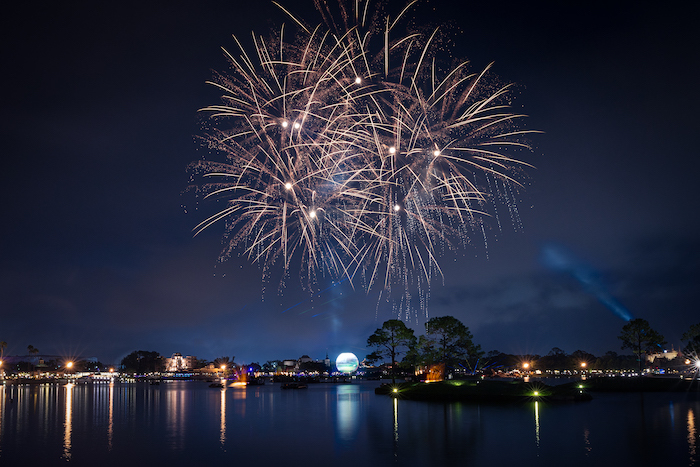 This will be the last year to see the special holiday version of IllumiNations since it is being replaced next summer. Catch it while you can! The opening burst of IllumiNations is always my favorite. Photo by Courtney Reynolds. IllumiNations from the Rue de Paris. Photo by Courtney Reynolds. 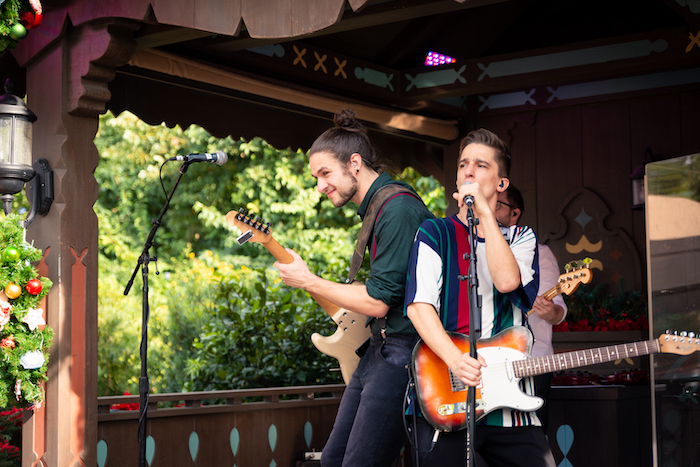 I can wait to go back to Epcot to experience more festival food and entertainment! 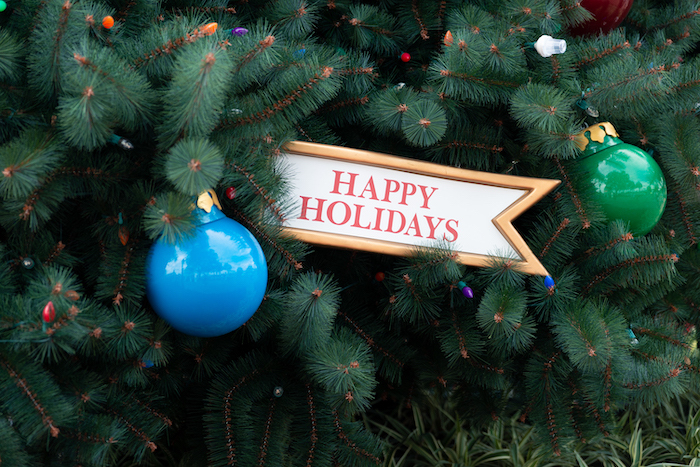 What experience are you most excited for at the Epcot Festival of the Holidays? 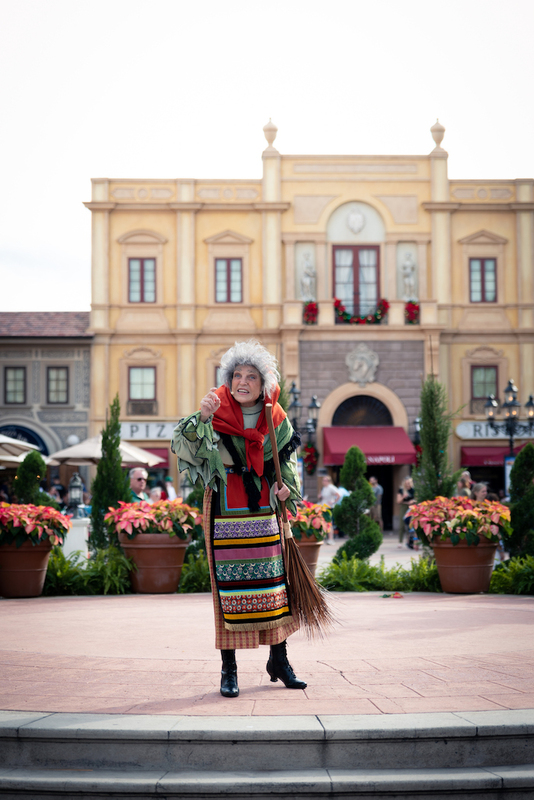 Love Epcot festivals? Subscribe today!